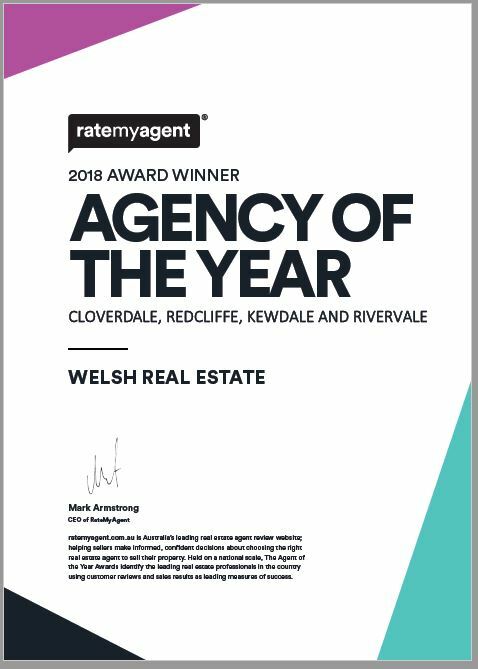 23 February 2018: Welsh Real Estate has won the Cloverdale, Redcliffe, Kewdale and Rivervale RateMyAgent 2018 Agent of the Year Awards. The awards, which are the largest real estate awards in Australia, recognise those agents and agencies that have ranked the highest based on customer reviews and feedback. Chantal Ricupero was also named the top agent for Cloverdale. The awards, which are in their fourth year, are the only major customer choice awards for the real estate industry in Australia. Rather than being judged by industry peers, the awards are calculated based on the reviews that customers provide on the RateMyAgent website. RateMyAgent is Australia’s No. 1 real estate agent ratings and statistics website. It provides recommendations, rankings and reviews for real estate agents in Australia. Started in 2014, the company now has over 32,000 claimed agent and agency profiles and is a leading consumer site for people looking for transparency in the real estate industry. The Agent of the Year Awards are the largest real estate awards in Australia, and the only awards to use customer reviews and recommendations to rank agents. The awards also recognise leading agents on a suburb, state, city, and national level to help sellers choose their leading local agents. All reviews on ratemyagent.com.au are verified and attached to the property listing they relate to ensuring that the information provided is unique to the agent and from a genuine property seller or buyer.